Prefix Guard gives you full. real time, end-point security over your network. How many of your users have access to external storage devices such as USB sticks, MP3 players and PDAs? Are they connecting them to your network PCs? Copying sensitive information? Allowing viruses, spyware and other malicious code onto your network? With Prefix Guard, you will know, and you will be able to put a swift, effective and permanent stop to it. Prefix Guard gives you full, real time, end-point security over your network. You can control the flow of data in and out of your network PCs and external devices. You can monitor, disable and deactivate specific devices and specific USB ports. You can identify and stop unwanted sharing. You can control the use of external media such as CD-Roms and DVD-Roms, and devices connecting by bluetooth and other wireless protocols. 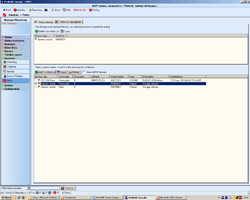 Prefix Guard removes one of the IT professional's most serious blind spots, making real-time information on who is connecting what to the network quick and easy to access. It arms you with the tools you need to control exactly what can and cannot enter or leave your network via your PCs, laptops and external devices - however many of them there are. With the increasing prevalence of external storage devices, Prefix Guard's highly effective protection is essential for any organisation running PC networks. • Prevent the use of external storage devices and media. • Disable specific devices on specific USB ports. 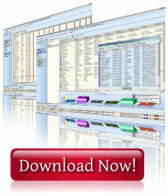 • Prevent data loss through end-points. • Prevent the introduction of trojans and other malicious code through USB ports and external media. • Whitelist IT technicians' USB devices. Read on to discover how PrefixNE’s other modules will give you power and control over your network, or Download a free trial today.